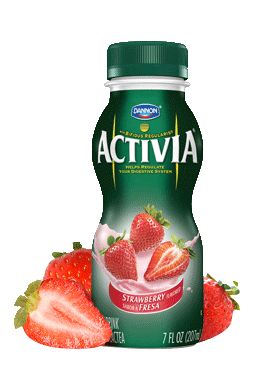 Activia® Drinks Strawberry - DANONE GESELLSCHAFT M.B.H. Refresh yourself anytime, anywhere with an Activia Drink. With tons of fruity flavor and billions of probiotics in every bottle, these cool and creamy smoothies taste great and can help regulate your digestive system.